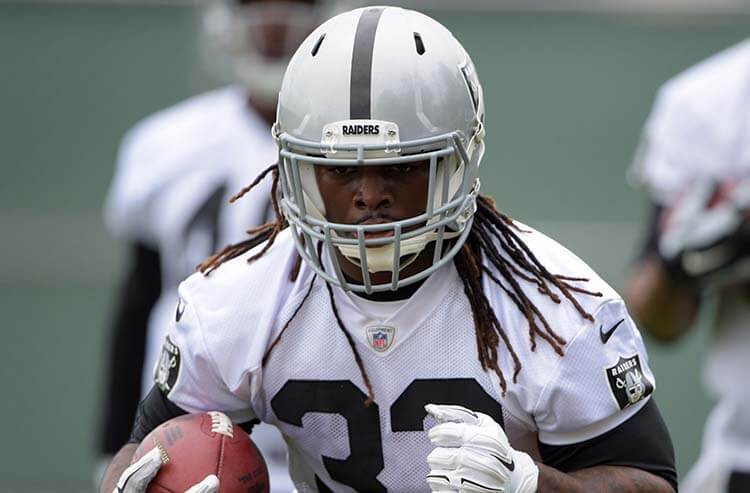 Trent Richardson scored twice in his AAF debut with Birmingham. 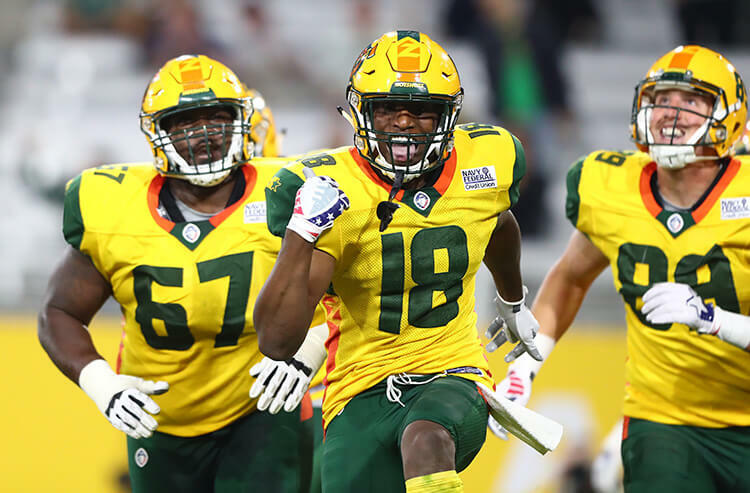 Week 1 of the American Alliance of Football (AAF) is in the rearview mirror as the first four games were completed over the weekend. Looking back, this isn't really a surprise as bookmakers and bettors alike really had no clue as to what would happen on the opening weekend. The totals for Saturday's games opened at around 49-50 but both had been bet up to 54-55. Then with both of Saturday's games falling to the Under, Sunday's line movements were the opposite: As of Saturday night, the totals were available at 51-51, but both had been bet down to around 46-47 before kickoff. The sides didn't move as much although bettors did seem to pile onto Orlando on Saturday, moving the line from -5 to -7. And, as per Scott Shelton, supervisor of The Mirage, "For reasons I don't know, Atlanta/Orlando had three times more handle than San Diego/San Antonio." Even though bookmakers had no idea what to expect heading into opening weekend, they managed to get the favorites right as all four won outright and covered the spread relatively easily. All home teams were favored, so it could have been that oddsmakers were simply giving a significant edge to the team that did not have to travel. Regardless, they were right and it will be interesting to see how home-field advantage affects lines for Week 2. Oddsmakers didn't have the same luck in trying to predict the totals. Most totals were set at around the 50 mark, but it was clear early on that Saturday's games would not get close to those numbers. The San Diego/San Antonio game went scoreless in the first quarter, while Orlando had managed a 3-0 lead after one. San Diego/San Antonio wound up with 21 total points while Atlanta/Orlando wound up reaching 46 as the Apollos piled on some points late in the blowout. Seeing the offenses struggle had bettors piling on the Unders for Sunday and they were rewarded in the early game as Birmingham shut out Memphis 26-0. It looked to be more of the same early on in the late game as both teams struggled to move the ball, but once Arizona scored late in the first quarter, the points came fast and furious as the total reached 60 in Arizona's 38-22 win. So the big question of the weekend was whether the rules would play to the Over or the Under for the totals. And, unfortunately, after Week 1 we really don't have an answer. The fact that teams must go for two after a touchdown finished with mixed results, as nine of the 16 two-point conversion attempts were successful (56.3 percent). The faster play clock also seemed to have mixed results. It made a lot of drives look like they were in the traditional two-minute drill in the NFL. Once the offenses got into a rhythm, the faster play clocked seemed advantageous as the offenses moved quickly downfield. But for other teams, the faster play clock seemed to be a hinder as they were forced to hurry to the line and not get their pre-snap reads and movements in the way they would have hoped to. The biggest rule I was looking at last week was the no blitzing rule, assuming that the quarterbacks would have plenty of time to find open receivers. Offensive line play was, for the most part, atrocious as the five rushers were getting to the quarterback with ease. The no kickoffs rule seems to favor the Under, as teams aren't getting the advantage of a long return or even the possibility of having the receiving team fumble and give the ball away in prime scoring position. It also forces these quarterbacks, most of whom are mediocre, to drive 75 yards each and every time to reach the end zone. Make no mistake, the rules of this league are designed to generate offense. But, for the most part, the defenses stole the show over the weekend. Despite the rule that limits defenses to five pass rushers and prohibits most types of blitzing, there was pressure on the quarterbacks all weekend. This led to some huge hits, including one where San Diego QB Mike Bercovici almost got decapitated, and forced the quarterbacks into bad decisions, leading to nine total interceptions over the weekend. Most teams are going to be focusing on their offensive-line play throughout practices this week. Like most football, good quarterback play resulted in points over the weekend. Arizona quarterback John Walford was the offensive MVP of the weekend, throwing for 275 yards and four touchdowns on 18-of-29 passing. Orlando quarterback Garrett Gilbert was a close runner up, throwing for 227 yards and two touchdowns on 15-of-25 passing. On the opposite end of the stick, Memphis, San Diego, and Atlanta will all be going back to the drawing board at quarterback as they all made in-game quarterback changes to try and spark their offenses. 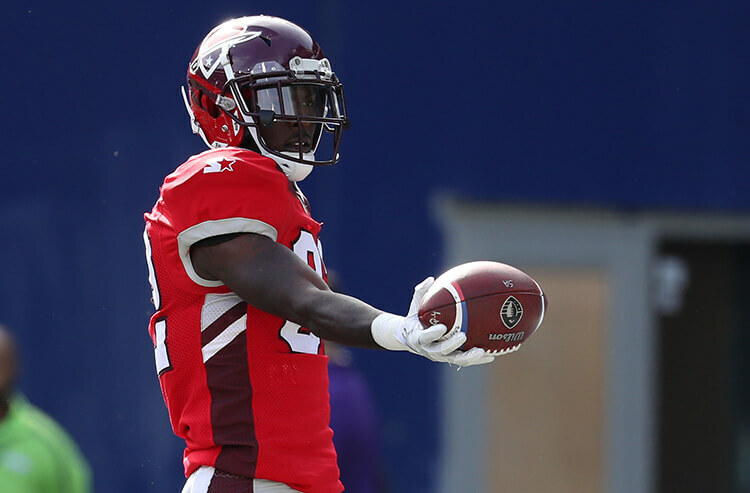 One thing the AAF has nailed is the pace of play. There are no kickoffs, no TV timeouts during the game, and the play clock is set at 35 seconds. This led to a very quick pace of play that kept viewers engaged and stopped them from changing channels between possessions. It also had the games ending at a very manageable 2.5 hours. WANT TO CHAT ABOUT THE NEW AAF? JUMP INTO OUR POSTING FORUM AND DISCUSS YOUR BETS FOR WEEK 2. 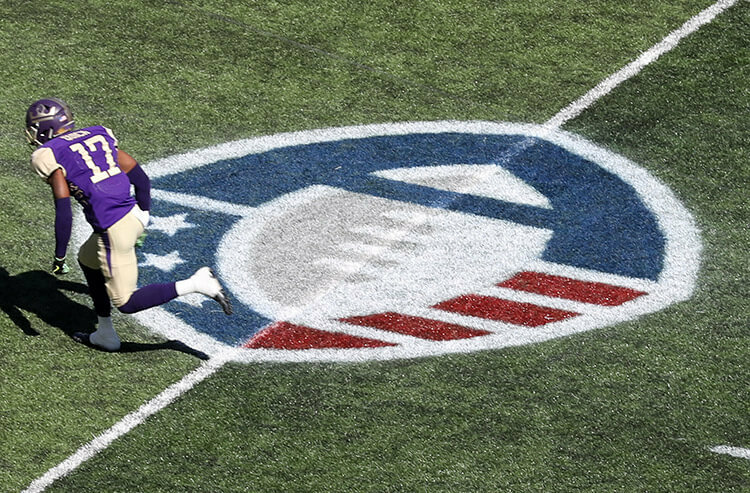 No lines have yet been released for Week 2 of the AAF but we're going to take a shot at guessing the lines. Check back later in the week for a full betting preview of Week 2 once the odds for the weekend are officially released.